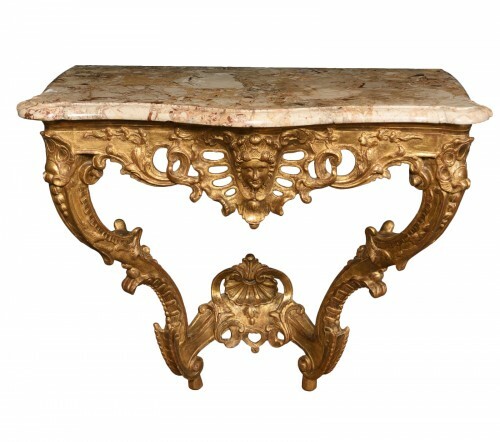 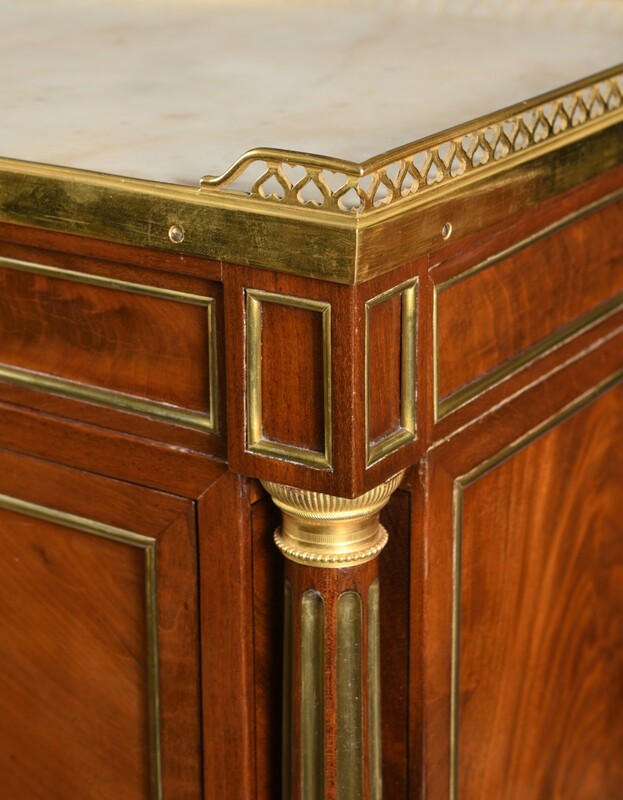 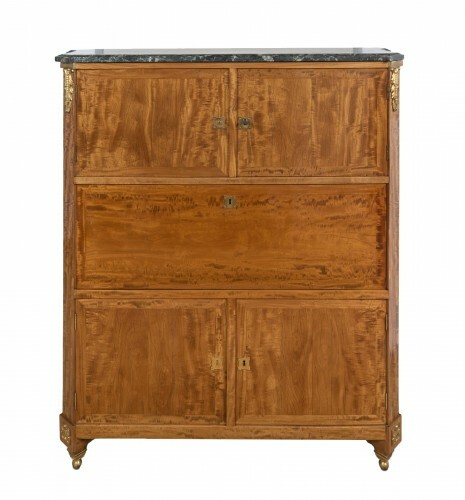 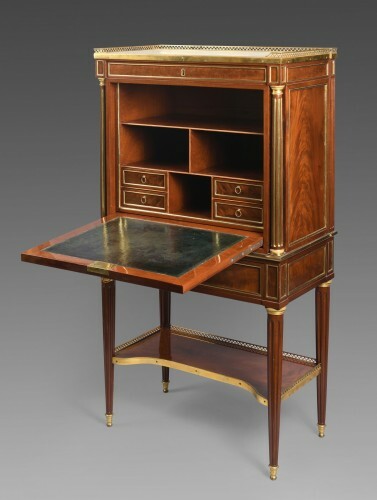 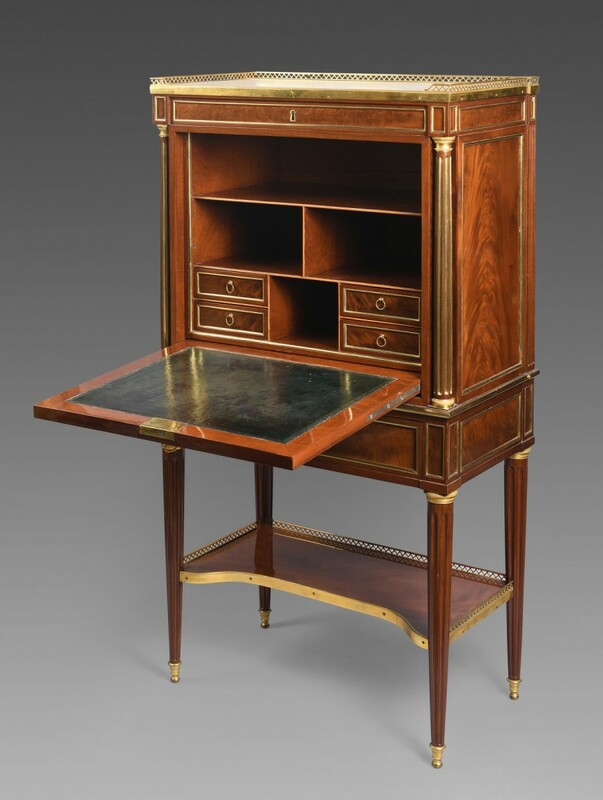 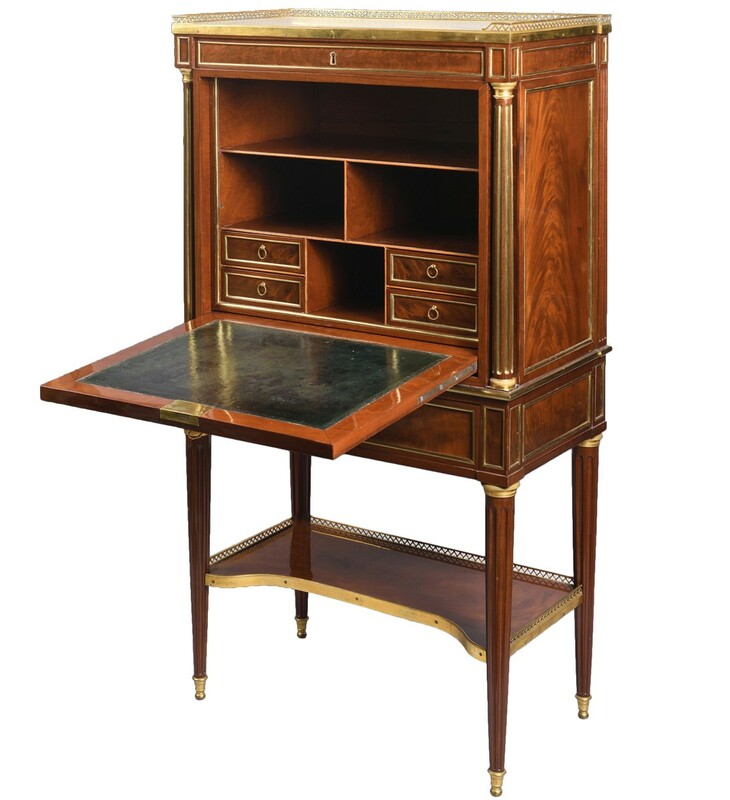 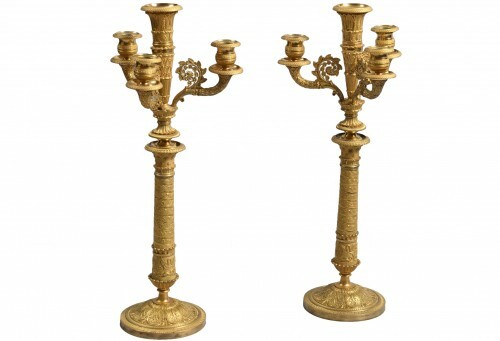 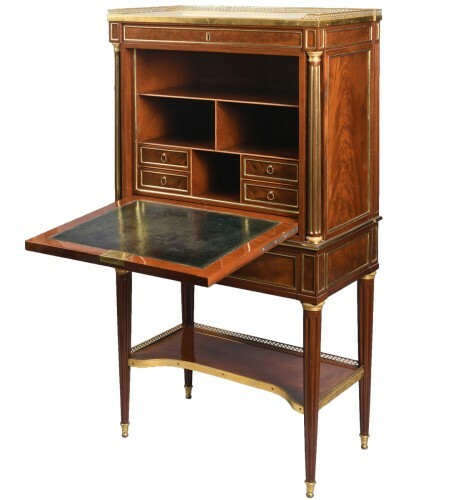 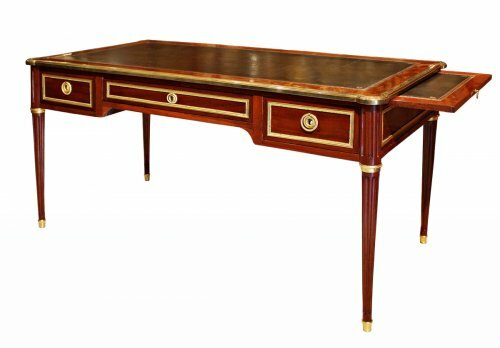 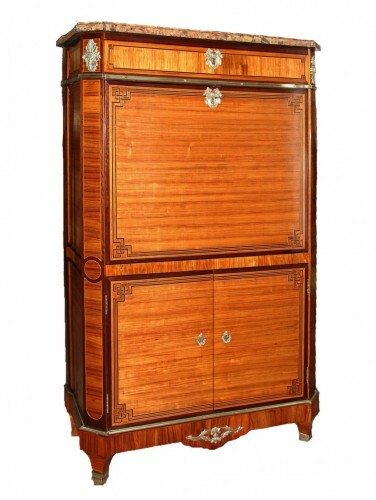 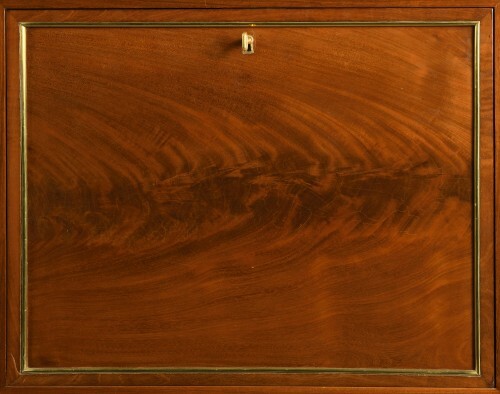 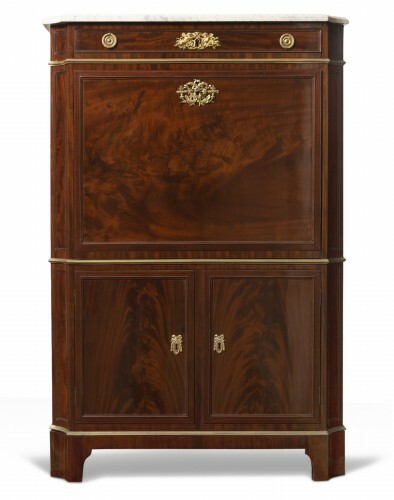 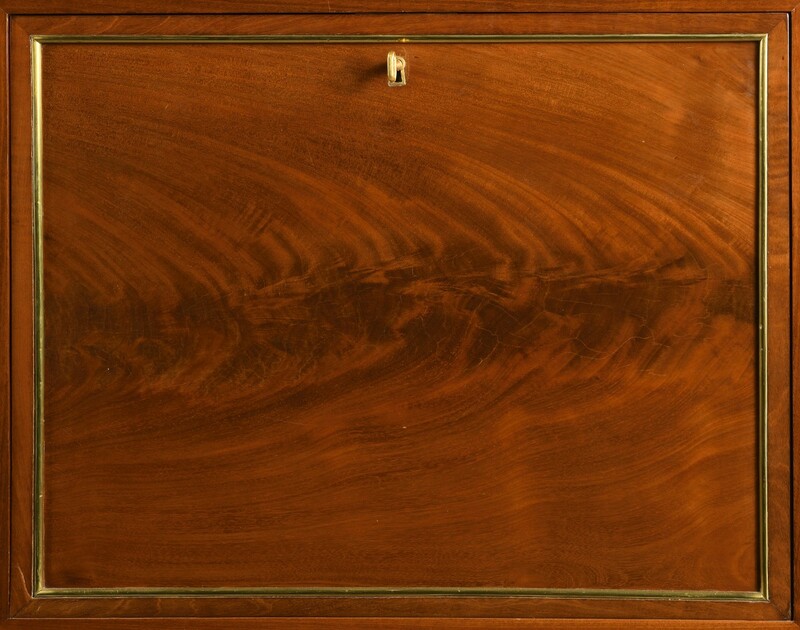 Secretary in cabinet, mahogany and flamed mahogany veneer adorned with brass rods, it has a drawer in the upper part surmounting a flap framed by two columns with dark fluted brass and a drawer belt. 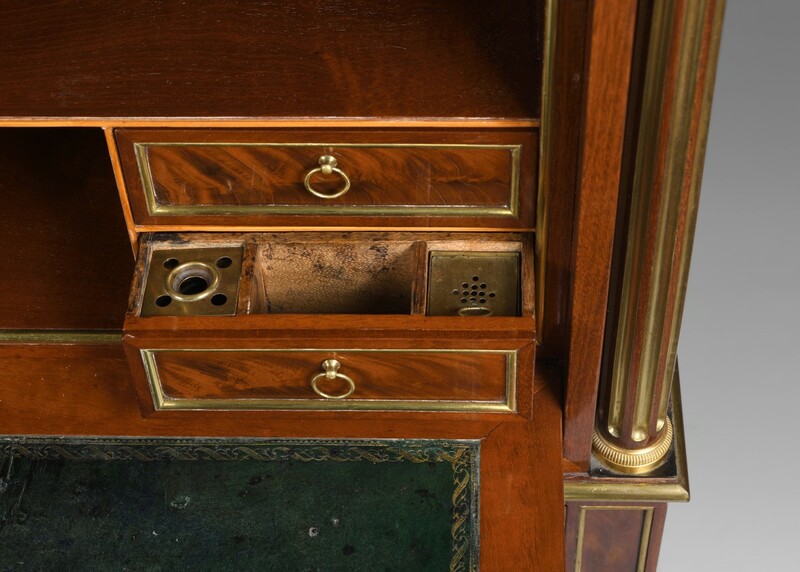 The flap reveals a green leather top, four drawers and four lockers. 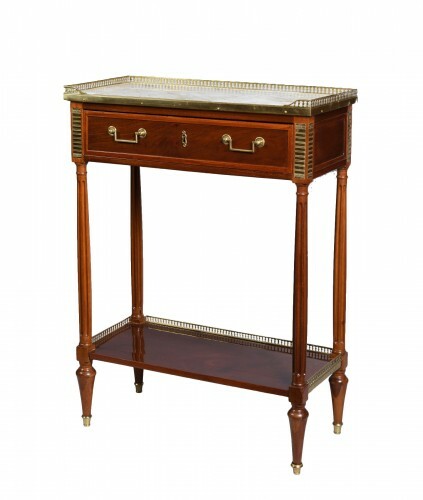 Feet are tapered together by a tablet slightly facade facade. White veined marble top girded with a perforated copper gallery.